The Valley Honda Facebook page is a not only a great place to get updates on our dealership, Honda news, and community events, it’s also where you can find photos of our recent customers! Each time someone purchases a new car at Valley Honda, we offer to take a picture and post it on our Facebook page so you can share your exciting new purchase with friends and family. We also host a monthly drawing for a $250 Valley Honda gift certificate on our Facebook page that’s easy to enter. 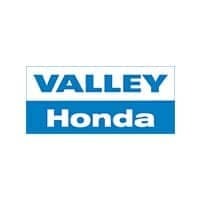 If you like to stay updated on the latest in Honda, https://www.facebook.com/ValleyHonda1, and local news, Twitter is the perfect place for you to connect with us! We post throughout the week with updates on what’s happening. Twitter is a simple and quick way to connect, especially since Tweets always come in less than 140 characters! Google+ brings together a variety of features that include posts from us, photos of the dealership, dealership reviews, directions and contact information, and more. If you want to find out what others have had to say about their experience at Valley Honda, make sure you visit the reviews section our Google+ page! The Valley Honda LinkedIn company page is a great place for those interested in employment at our dealership. We regularly list job postings there, and you can always find out more about our company by stopping in to read our company description! If you want some more in-depth information on news and events, the Valley Honda blog can help! 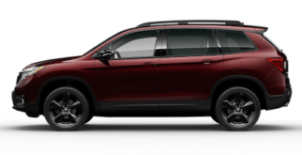 We post blogs multiple times each month to keep you updated on Honda news, dealership news and sales, community events, service and car care tips, and a wide variety of other topics. Let us know if there are any topics you’d like to see more of!